Muscle invasive bladder cancer is an unforgiving disease, and if untreated, it leads to death within 2 years of the diagnosis in >85 % of the patients. Long-term oncologic efficacy remains the ultimate standard that all procedures have to be measured by. 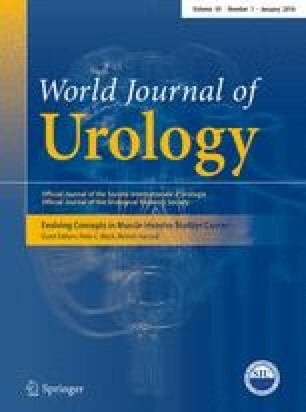 In the past decades, open radical cystectomy (RC), extended pelvic lymph node dissection (PLND), and urinary diversion have been established as the gold standard. In the last few years, however, growing attention has been set on robotic-assisted radical cystectomy (RARC). Even in the very long term, open RC has good oncological results and if an ileal neobladder is performed excellent functional results. Follow-up of patients after open RC exceeds more than a decade which is unsurpassed by any other technique. Its outcomes have been proven to be durable and cost-effective. Least perioperative complications as well as best oncological and functional results can be achieved if open RC and urinary diversion were performed in a high-volume hospital by high-volume surgeons and an experienced team. Despite upcoming new technologies such as RARC, open RC following extended (PLND) remains the gold standard treatment for high-grade muscle invasive bladder cancer. Ethical committee review was not required as the manuscript is a review of the published literature.